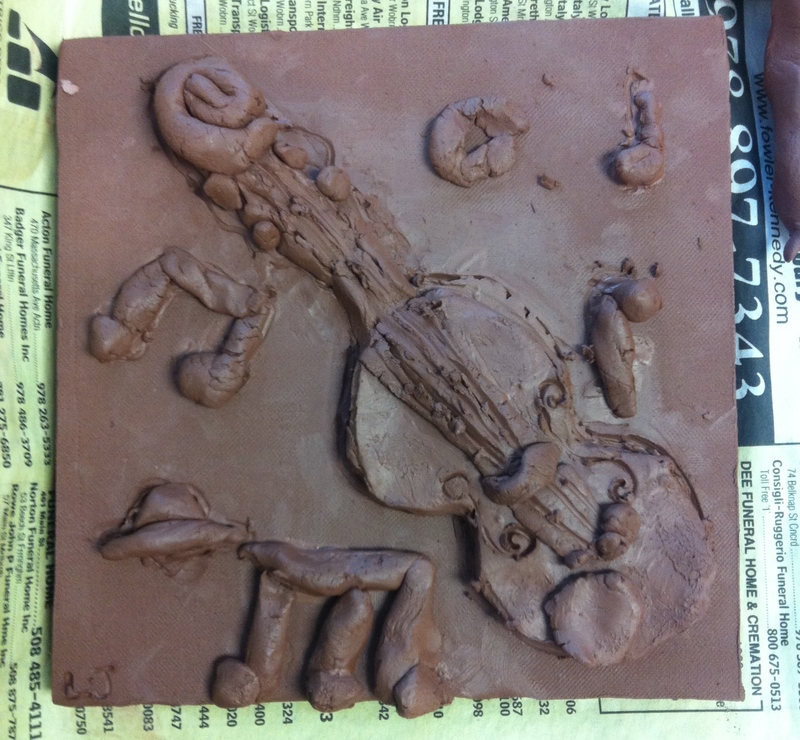 My spring session of Kids Clay included mostly repeat students. This allowed me to introduce more difficult projects and let the kids make more creative choices. We focused on three main projects that were multifaceted. We reviewed basic techniques, such as pinching, coiling, texture, slab and attaching to build the final work. Students enjoyed the “play” factor: moving the pieces around to create their own stories. It was a joy to see their creative solutions. Project Three: Pretend you are a scientist and you discovered a new species of animal. Create that new animal. 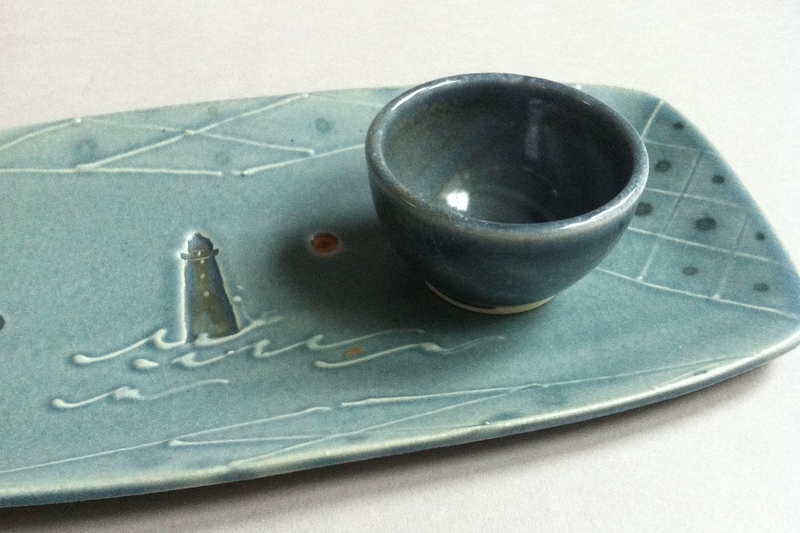 The pottery was created using low fire clay and glazing the bisque fired ware with low fire glazes. 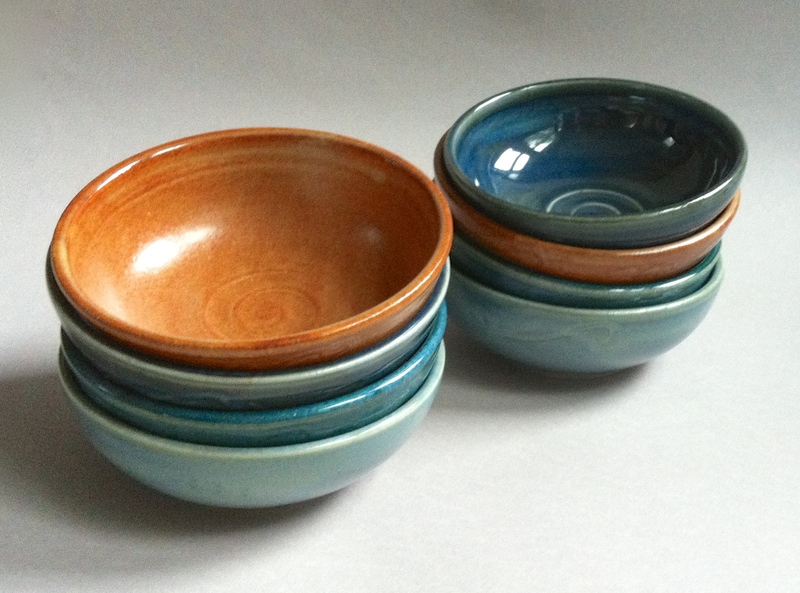 Kids create amazing pottery! 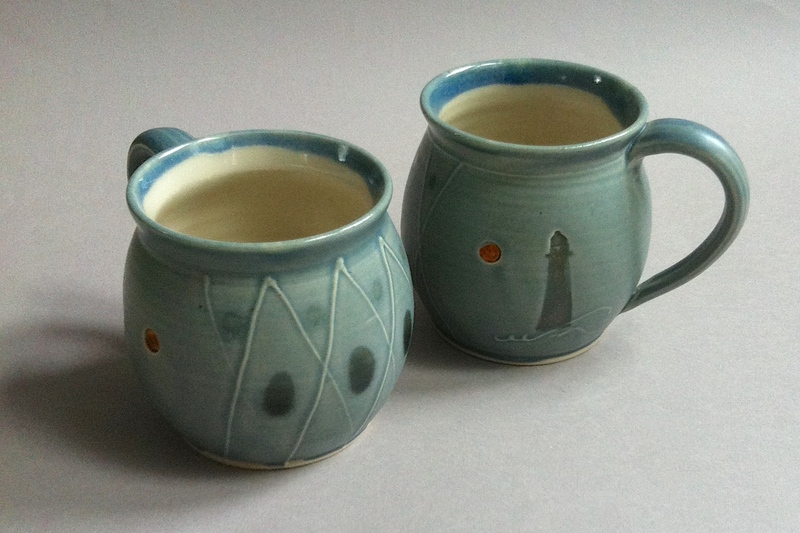 Potters Place is a not for profit pottery school and a cooperative studio for clay artisans. Located in Walpole, Massachusetts, it is interwoven into the community it has called home for over 30 years. Their mission is to spread their love of pottery. This takes many forms from raising funds through the sale of specific pottery (most recently to benefit the League School art program) to going into schools with clay to enrich the students. The students who transition from elementary to middle school annually work on a tile project that celebrates their interests and leaves a lasting artifact. Completed tiles are hung on the wall and students are able to stop in and see them years later. Working with the art teachers, Potters Place instructors provide real clay to students. Showing them ways to make their two dimensional drawings into three dimensional tiles with coils, incising, scratch and attach with slip method, and more. Adding color with glaze is the second phase where the students add details to their tiles. Parents are always interested in getting involved in this project. 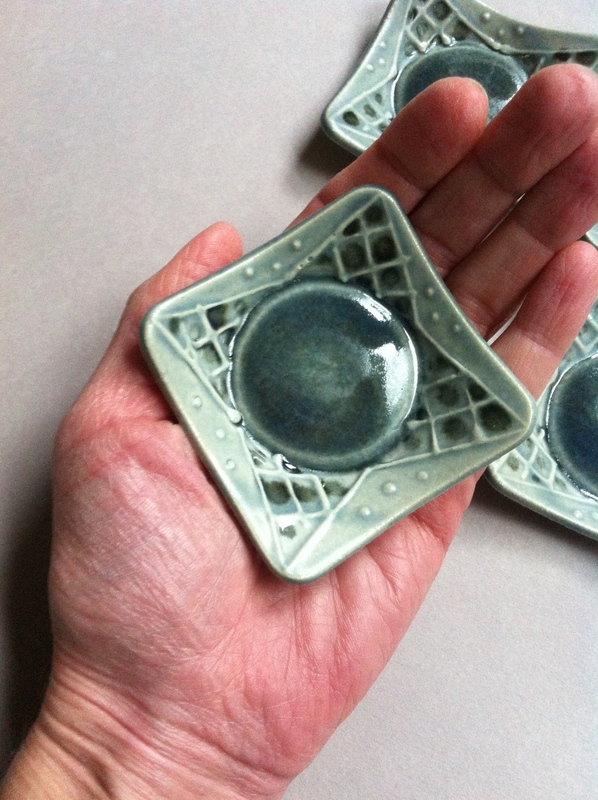 We welcome them to the Potters Place studio where they put on the final glaze before the tiles go into the kiln. When the tiles are finished, Potters Place delivers them to the school and they are framed and hung on the wall. The students are thrilled to see their very own tiles for years to come! 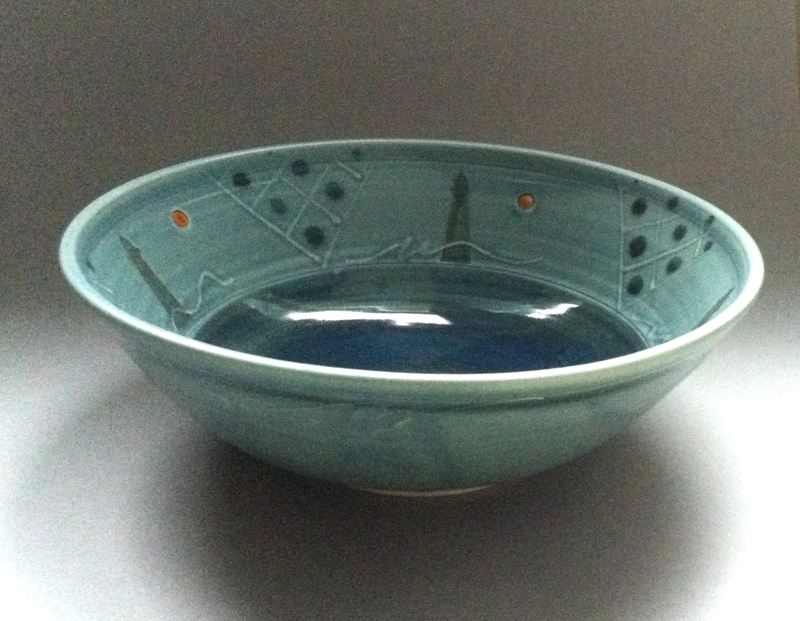 Potters Place, a school and cooperative pottery studio, opens it’s doors for their annual holiday show and sale November 21,22 and 23. 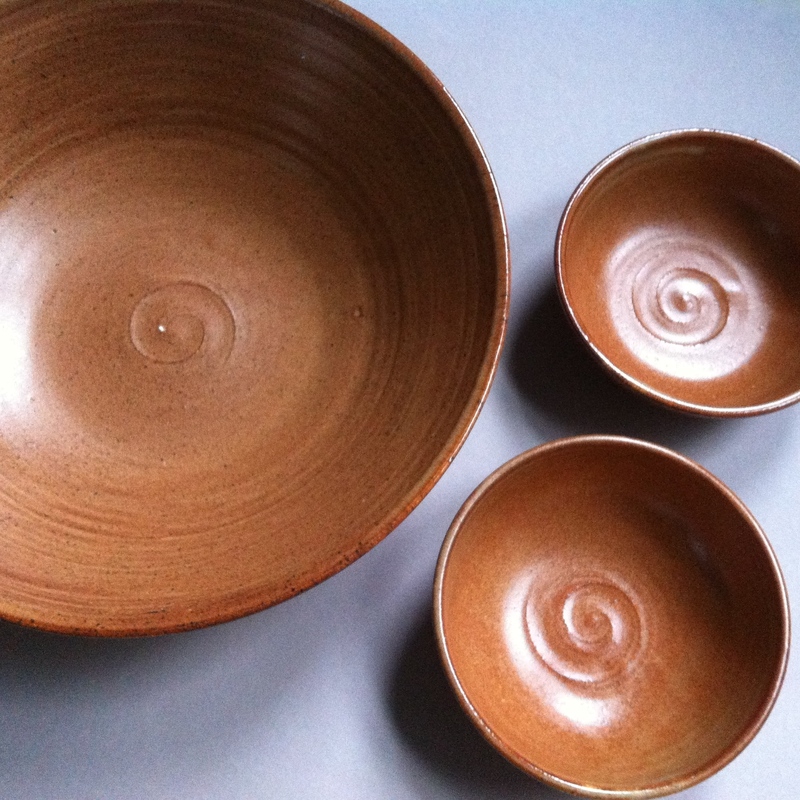 As a member, I will be showcasing my collection of wheel thrown and hand built pottery. 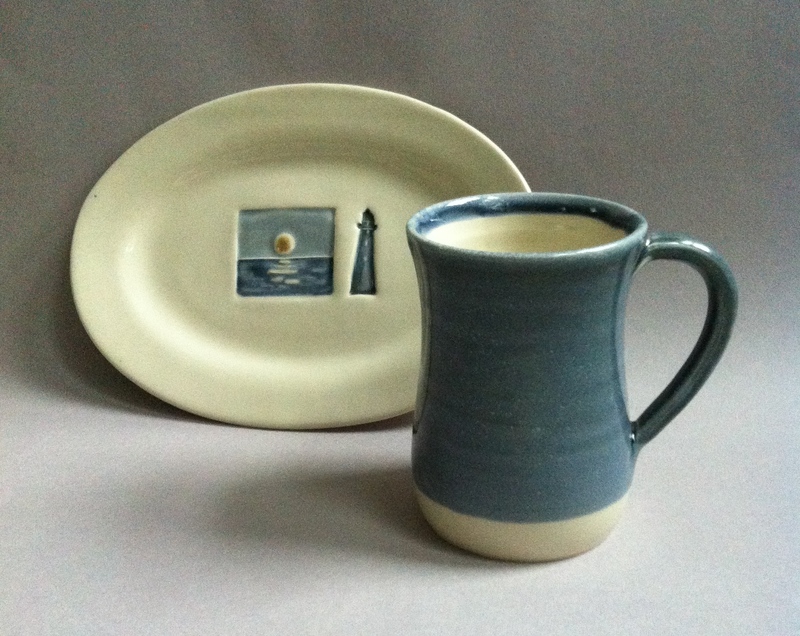 Here’s a sneak peak of my Fall “By the Ocean” Collection. Enjoy! This collection follows my summer “By the Ocean” collection. Read more about it here. 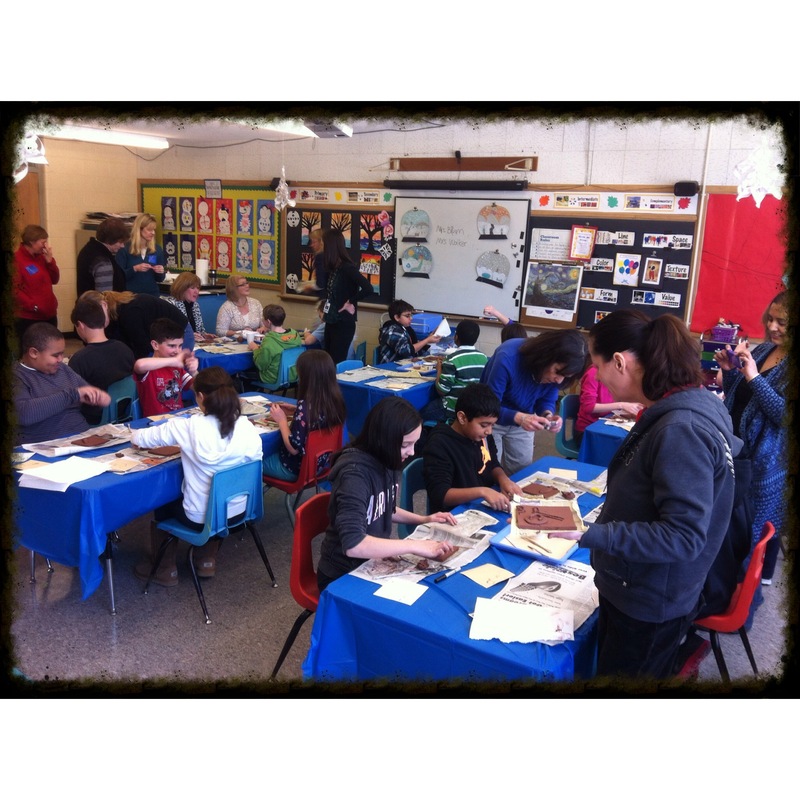 With 96 tiles in tow, Potters Place potters Susan Brum and Lisa Walker visit the 5th grade at Elm Street Elementary School to instruct on clay. This is the first of a two part visit. 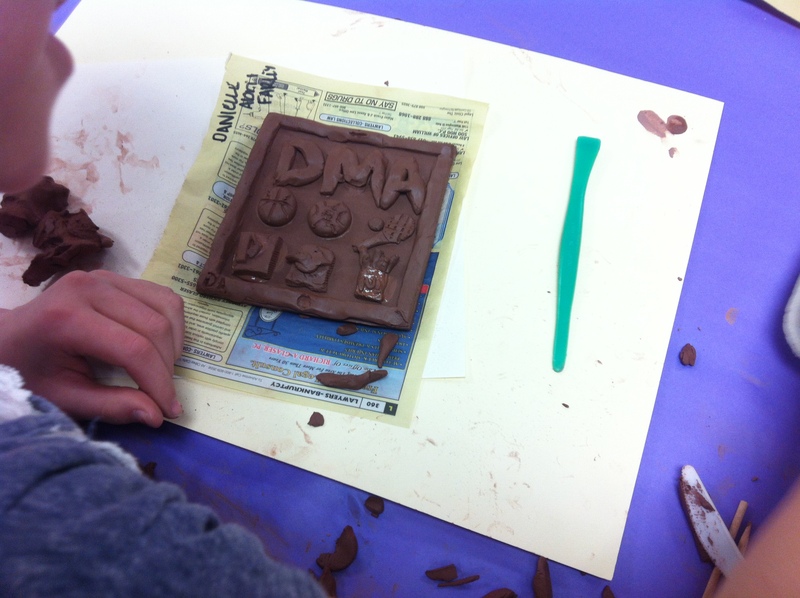 Part one gives the students a chance to create a tile using a wet clay tile. We teach them how to create relief (build up and add on) as well as to incise or carve to translate their two dimensional idea into a three dimensional sculptural tile. The students worked really hard. They were focused, creative and enjoyed working with the clay. At the end of our visit, we gave a preview of the painting they will do when we return next week. They will be able to add details and color before their work heads back to Potters Place to fire in the kiln. Makes you smile, doesn’t it?! Great attention to detail and the look of someone having a lot of fun playing with clay! Over the course of a few short winter months, I will have had the opportunity to work with 5th grade students in 3 different schools. Bringing artists into the classroom is rewarding for students, teachers and the greater community. 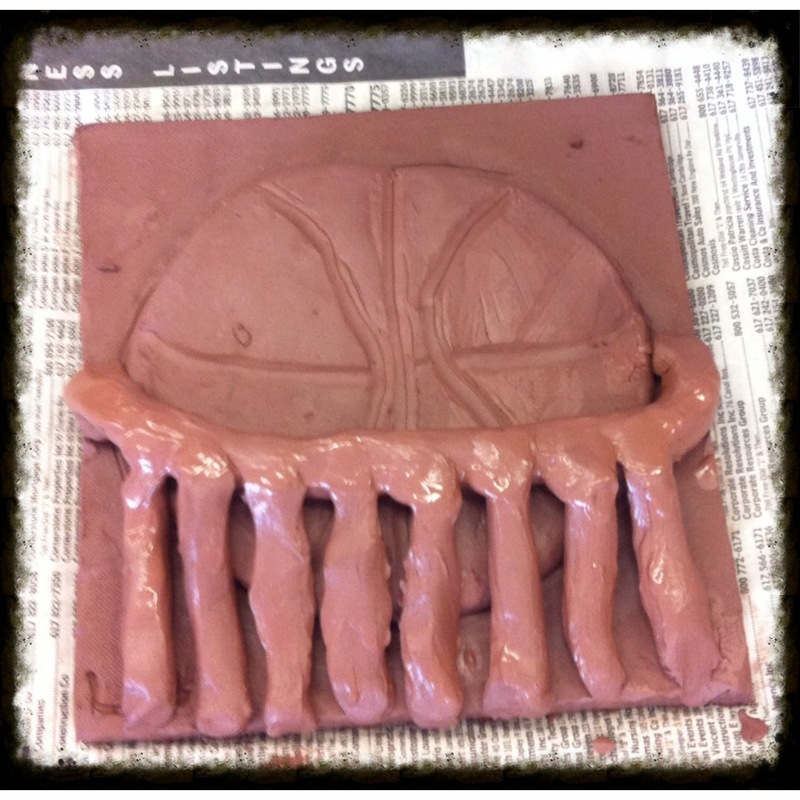 Using wet clay, the students are taught to create a three dimensional tile from a two dimensional format. Watching the students respond to the clay is always interesting. They have to think outside the box to solve problems involving spatial relationships, how to minimize details, how to reproduce a flat object into a three dimensional form and more. 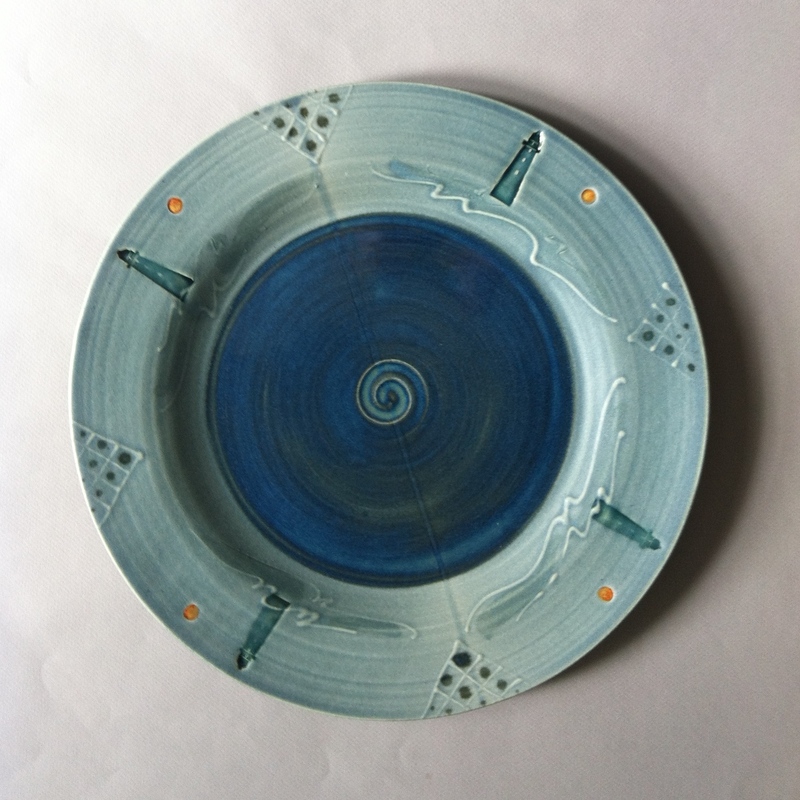 There is technique to learn when working with a new medium such as “score and slip”, coil rolling, incising and the proper way to build up the tile. There is nothing better than experiencing the student who has the “ah ha!” moment as this one did with the tile pictured above. He struggled to create the perfect moment when the ball swished through the net. I’d say he was quite successful! The tiles have been clear glazed and fired in a low fire kiln at Potters Place. Next they head back to Elm Street School where they will be grouted and displayed on the wall for all to see. What a great project! Click here for Part two and Part one. Transitioning from elementary school to middle school can be an exciting and terrifying time. Intuitive art teachers have found that creating a commemorative piece allows a transitioning child to explore who they are before they move to middle school to increase self awareness and promote self esteem . 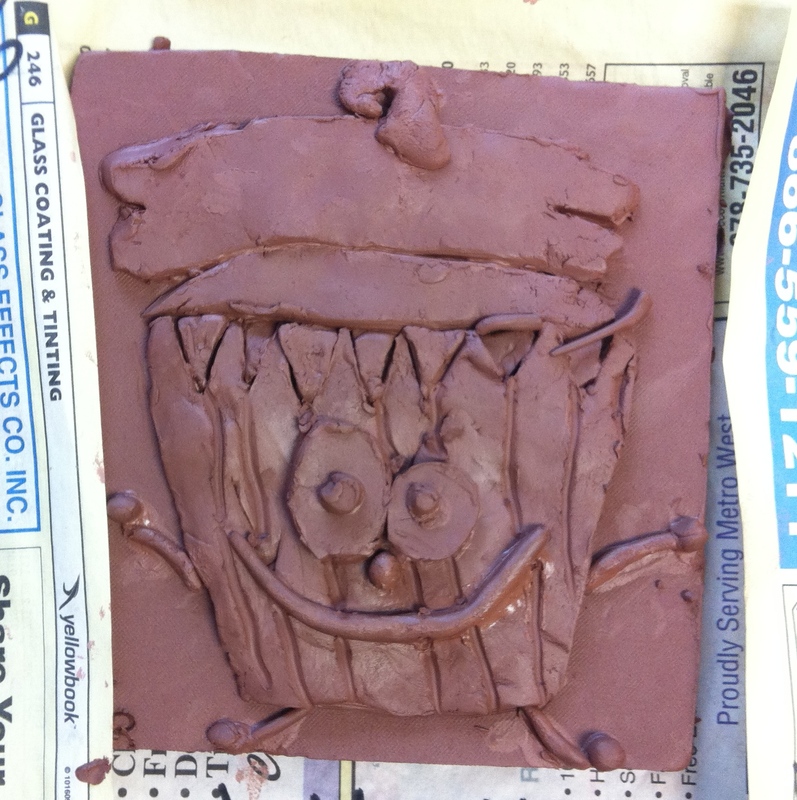 By creating a piece in clay, students use multiple disciplines (their brains and their hands). 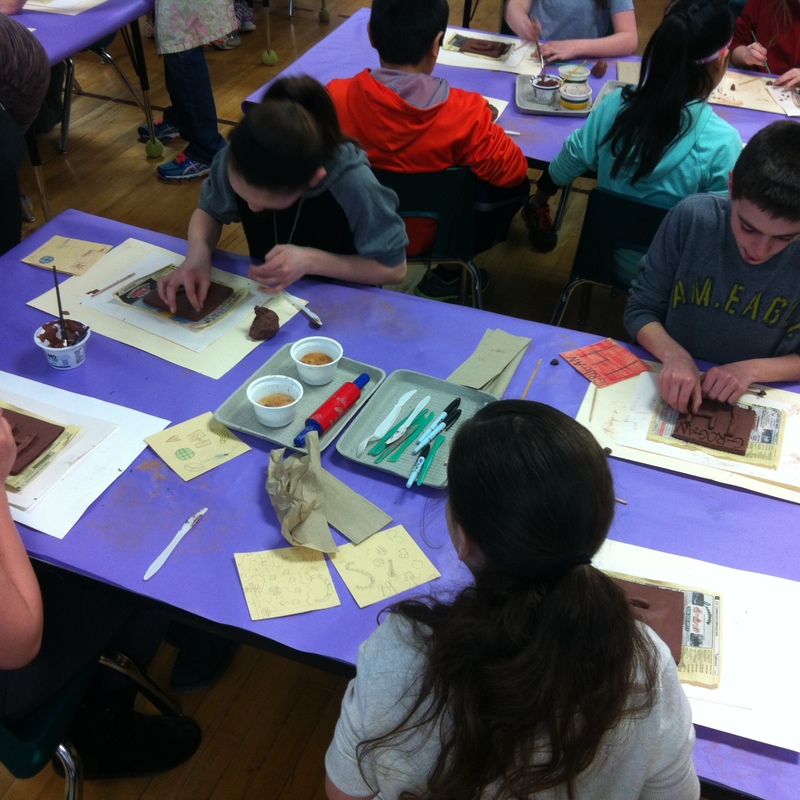 Susan Brum (Hog Wild Pottery) and I helped 5th grade students at the Boyden School in Walpole create these tiles (pictured) by providing them with a “wet clay” tile, teaching scratch and slip technique, and gently guiding them toward their goals. It was their art teacher who helped them develop their original sketches, will help them paint with colorful glazes and ultimately fire their pieces in their very own school kiln. At Potters Place, my cooperative studio, we enjoy working with these teachers to help them reach the goals they have for their students. The commemorative tile project is something all 5th grade students can benefit from.